A new species of Andean lizard has been found in San Felipe and Tabaconas, Peruvian districts close to the Chicuate Chinguelas ACP supported by World Land Trust (WLT) and Naturaleza y Cultura Peru (NCPeru). The species, Pholidobolus ulisesi, was found during the day in montane forest on the edge of an area which had recently been opened for cattle ranching foraging within undergrowth and running through open patches of grass. They seemed to be well adapted to agriculture, as they were found frequently in the vegetation and leaf litter of coffee and bean plantations. The new species has the small, elongated body, triangular head and lateral stripes characteristic of the Pholidobolus genus. It has a tan stripe down its spine and thin white stripe from mouth to flank, which stand out on its dark brown body. Males can be distinguished by the presence of ruby scales above their forelimbs and the side of their tails. 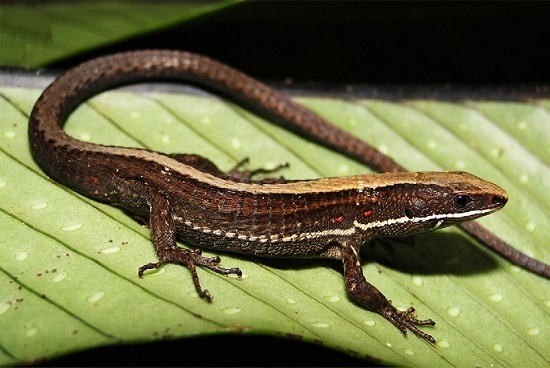 Pholidobolus lizards can be found between 1,800m and 4,000m along the Andes from northern Peru to southern Colombia. 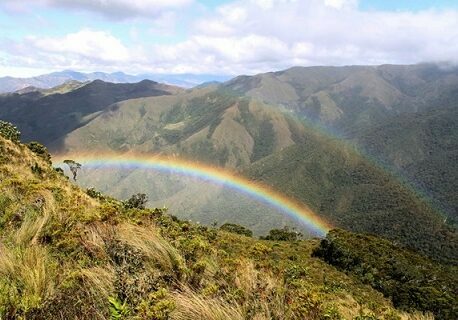 WLT and partner NCPeru recently celebrated the establishment of Chicuate Chinguelas, 66,954 acres (27,095 hectares) of Montane Forest and Páramo habitat, as a private conservation area. 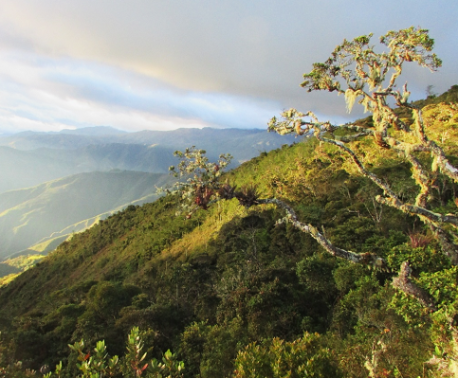 This was a milestone in our joint mission to establish several ACPs (Area de Conservación Privada) down the border of the Andes to form a corridor protecting biodiversity between the mountains and the upper Amazon Basin.